A group of American college students who were attacked with acid in France over the weekend have said they forgive their assailant. Two of the victims suffered facial injuries one of the two also had a possible eye injury, a spokeswoman for the Marseille prosecutor’s office told The Associated Press. 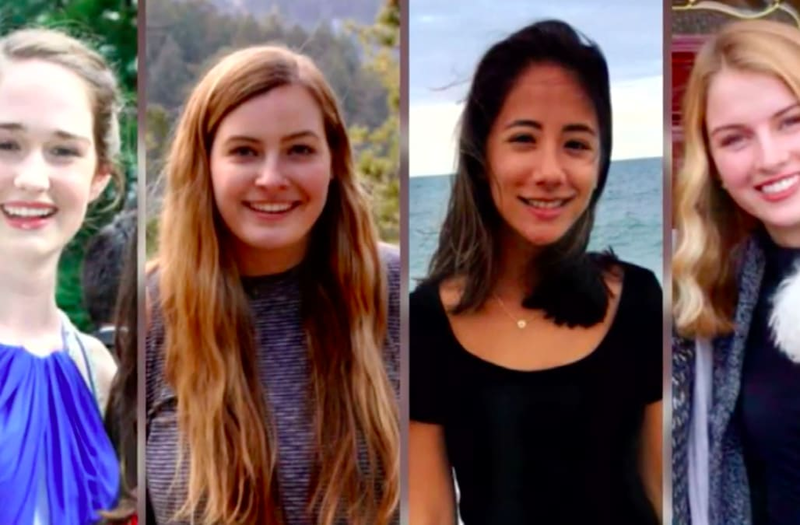 The victims have been were identified as Boston College juniors Courtney Siverling, Charlotte Kaufman, and Michelle Krug – and junior Kelsey Korsten, who is a student at the Copenhagen Business School in Denmark. According to Boston College spokesman Jack Dunn, the women will also stay in Europe to continue their studies abroad. "We are very fortunate. There could've been a very serious incident but the girls were treated in a hospital in Marseille and have been released and are intending to return to Paris today.